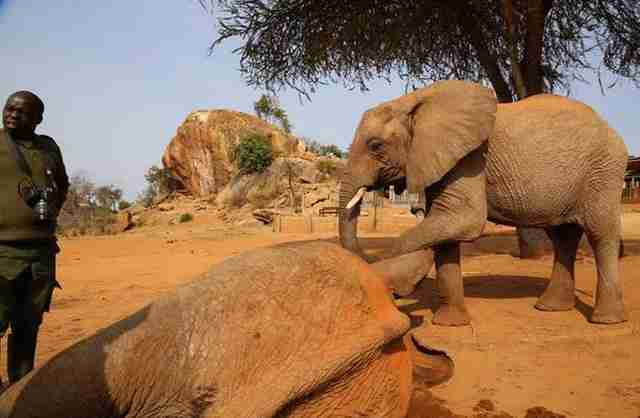 This elephant knew exactly who and where to go to when she found herself in trouble ... again. Makireti was first rescued in the summer of 2010. 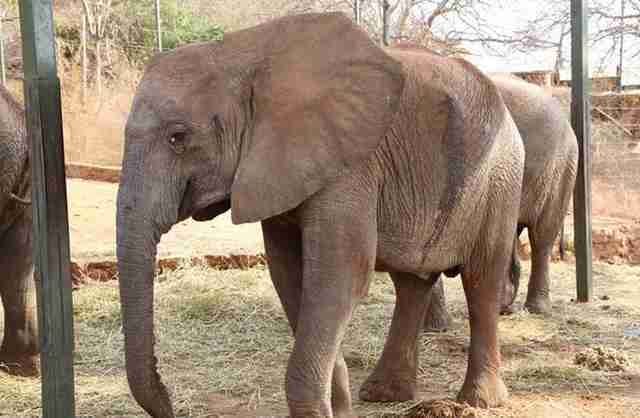 The young elephant was found wandering alone on a farm in Kenya near Tsavo National Park. She was emaciated and alone, with no mother or herd in sight, which was especially worrying since she was still a milk-dependent calf. 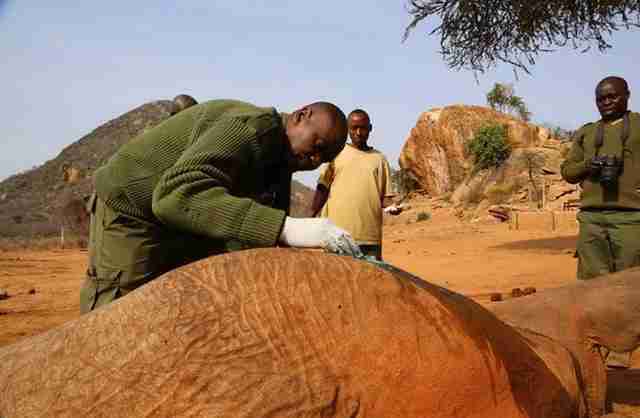 The baby elephant was found by The David Sheldrick Wildlife Trust (DSWT) and taken back to its Nairobi nursery. At first, she was terrified of her situation, and it took lots of calming just to simply get her to drink milk. But Makireti eventually ate, and began to bond with the other orphans at the nursery. Under DSWT's care, Makireti was slowly reintegrated into the wild, and never forgot the kindness of the people who saved her. Last week, Makireti voluntarily returned to the rescue's Ithumba camp in Tsavo - with a poisonous barbed arrow lodged in her side. Makireti only has one, very small tusk - the other never grew in - which hardly makes her a good poaching target. But apparently some people had thought her small tusk was still enough to hunt her over. In any case, she needed treatment. "By this stage Makireti's friends had congregated around the stockade to visit her, very aware and concerned about her predicament," DSWT wrote in a recent blog post. "By the time Dr. Poghon arrived, some of the ex-orphans had peeled away, leaving [elephants] Kilabasi and Kibo to babysit Makireti." 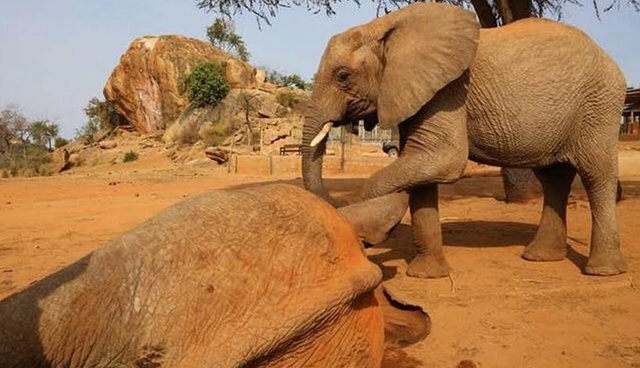 As Makireti was tranquilized and made to lie down so she could be treated, one elephant continued to stay with her, seeing her rescue through to the very end. 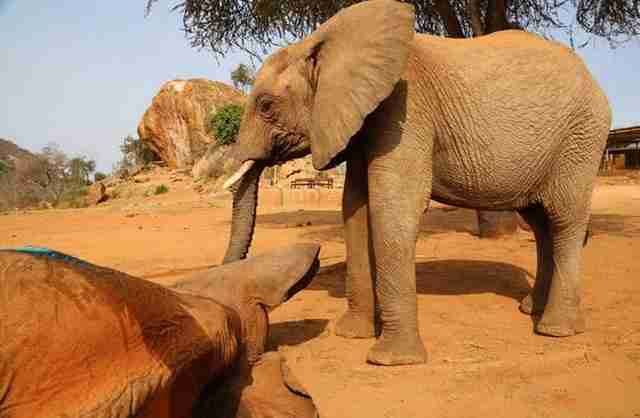 "Kibo then stood beside her for the entire duration of the treatment, touching her with his trunk and gently nudging her with his foot to try and wake her up, but did not disturb the team treating her, knowing that she was being helped," DSWT said. 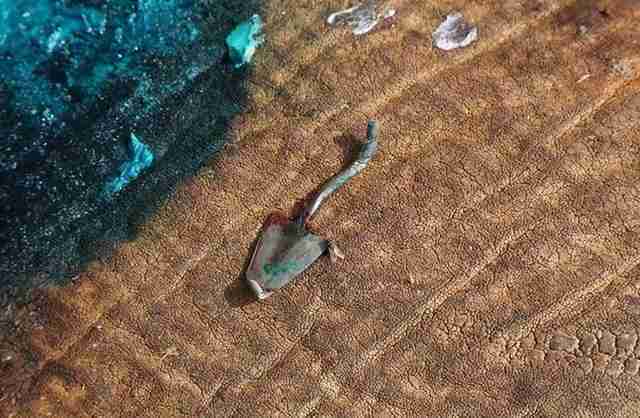 Luckily, Makireti's arrow injury wasn't life-threatening, as it only hit a rib and did not deeply penetrate her chest cavity. Once it was removed and Makireti woke up again, she decided to remain close to her friends Kibo and Kilabasi at the camp, rather than leave the camp and wander away on her own in the park - perhaps in gratitude for her their support during her time of need. 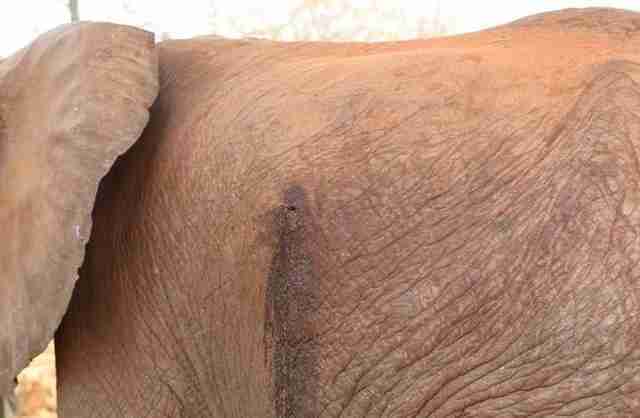 "Her wound is healing beautifully, thanks to the timely treatment she was able to receive, and Makireti will thankfully be perfectly fine," DSWT said. 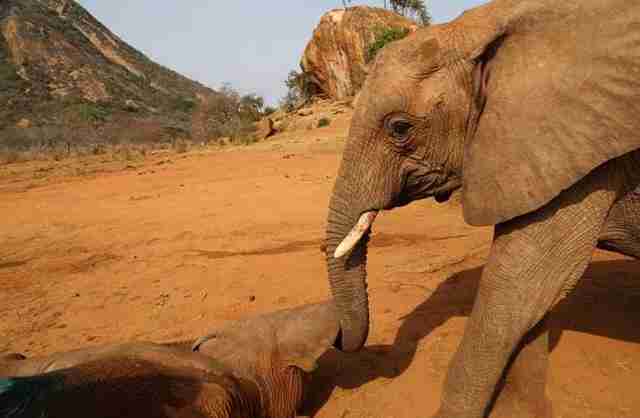 Want to help DSWT continue doing good work for elephants in need? Consider making a donation here.